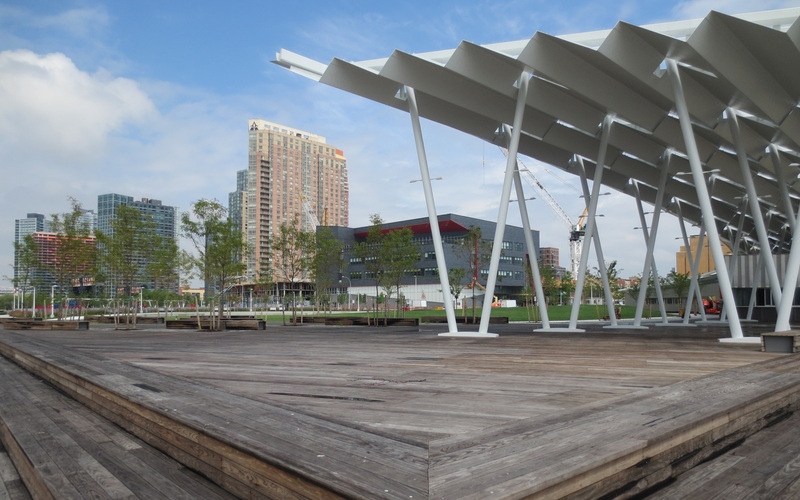 Hunter’s Point South is a new 5,000 unit mixed use residential project on approximately 30 acres of prime waterfront property in Long Island City, Queens. 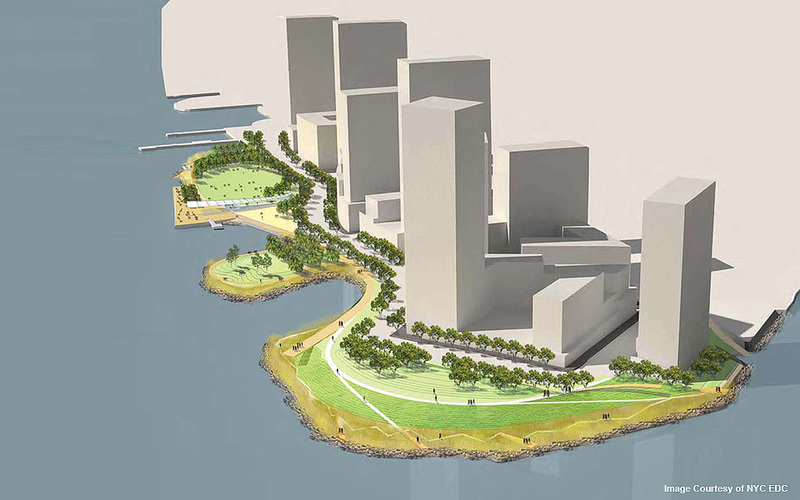 The project includes some 17 acres of new streetscapes, open space and a waterfront park. 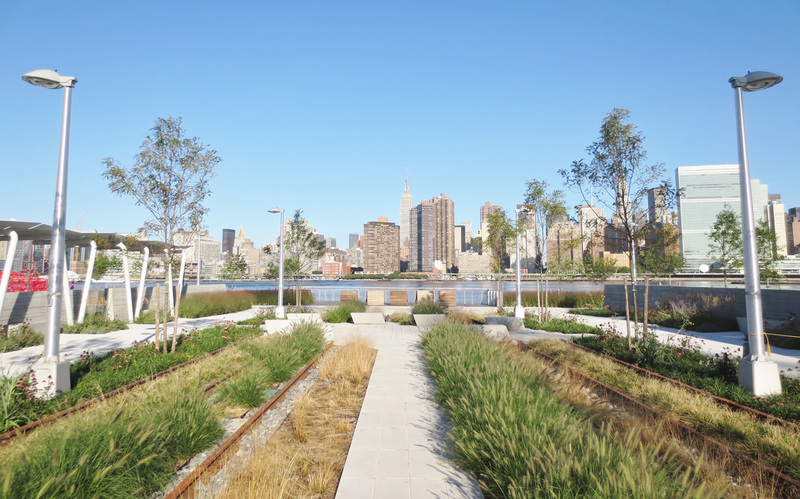 The project has been undertaken in two phases, with the Phase 1 completed in 2013 and Phase 2 in design. SiteWorks was engaged as part of the Phase 1 resident engineer team, performing constructability reviews during the design development and construction document phases of design. 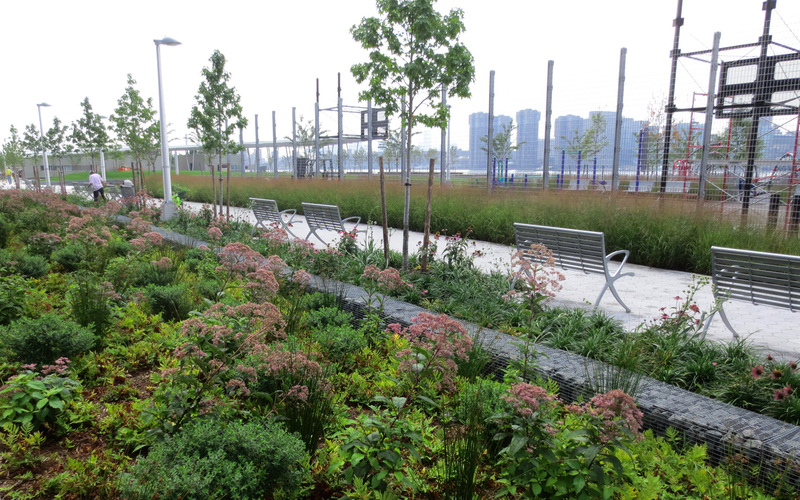 We also assisted with resident engineering for the park and open space area build-out. 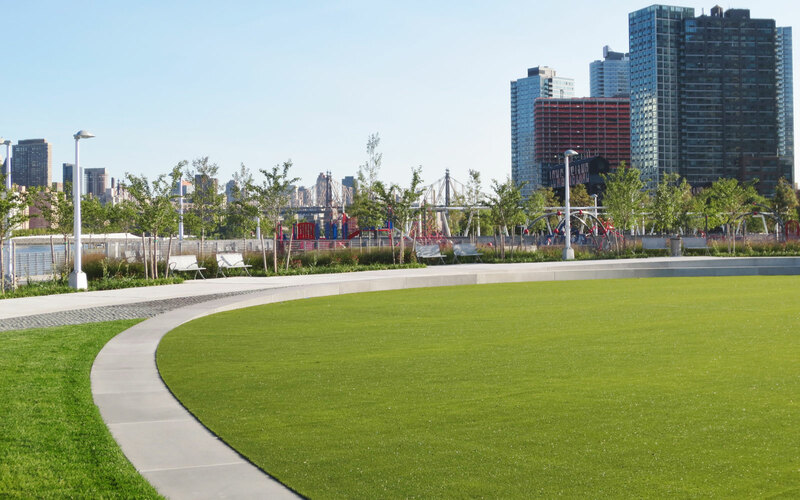 Working closely with the resident engineer, we developed detailed cost estimates for the park prior to the project bidding. 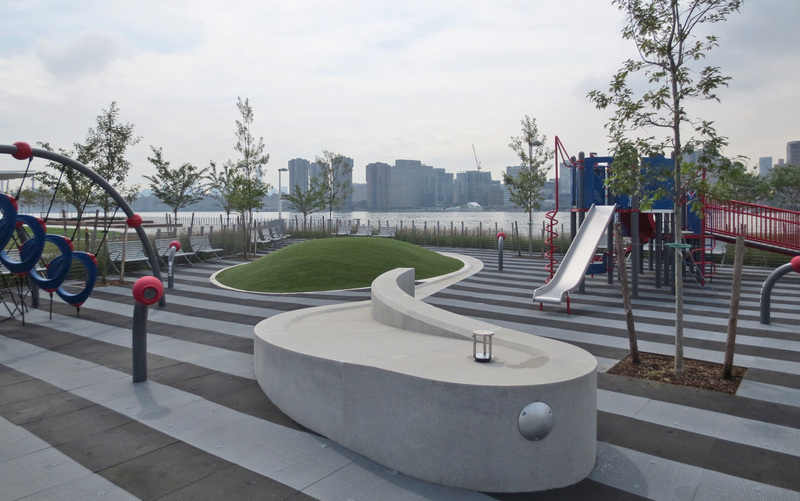 During construction, SiteWorks aided the design team on difficult construction and scheduling issues related to the waterfront edge fence, play equipment, kebony decking, rain garden construction and custom furniture design. 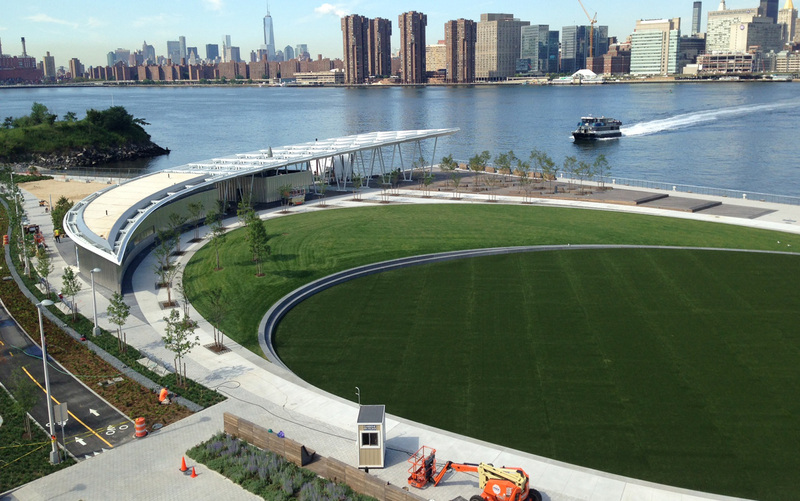 Elements of the park include a large oval synthetic turf playing field, waterfront esplanade, children’s play area, a dog run, and sandy beach. 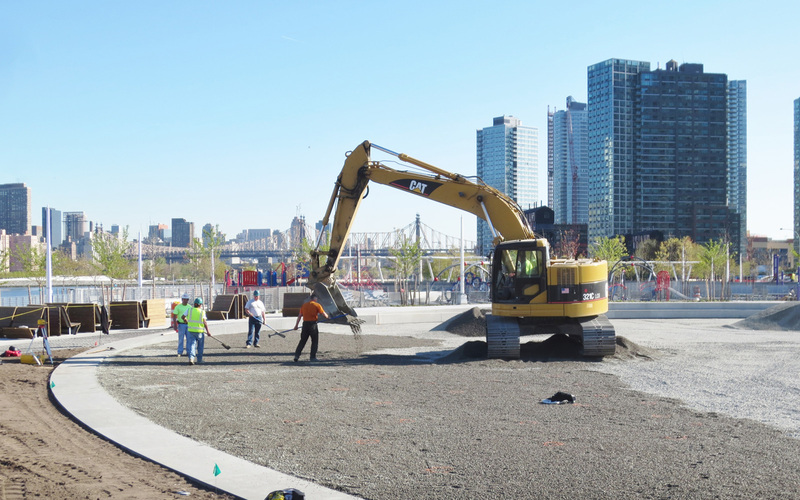 Due to our valuable input during construction of Phase 1, SiteWorks was asked to join the design team for Phase 2. Our role in the current phase again includes detailed constructability reviews, but also includes the development of a life-cycle estimate to determine the cost of the project’s maintenance over the long term. 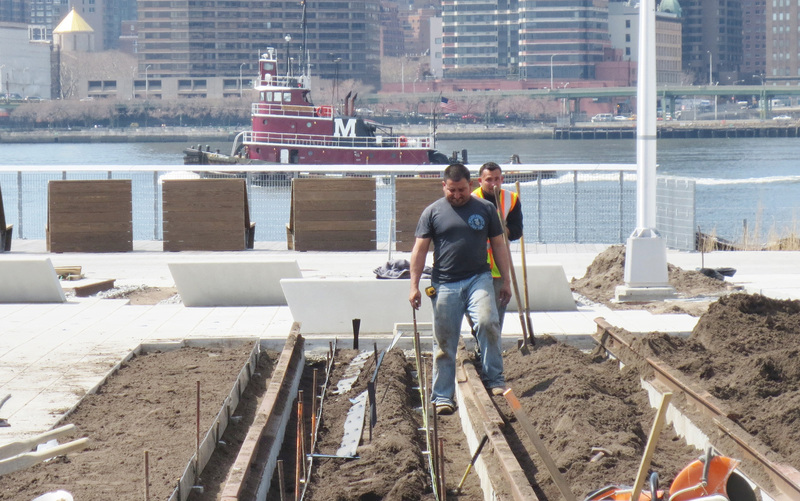 We have also been engaged to prepare a detailed maintenance guidebook to assist NYC Parks and Recreation with the upkeep of the park facilities in the future.